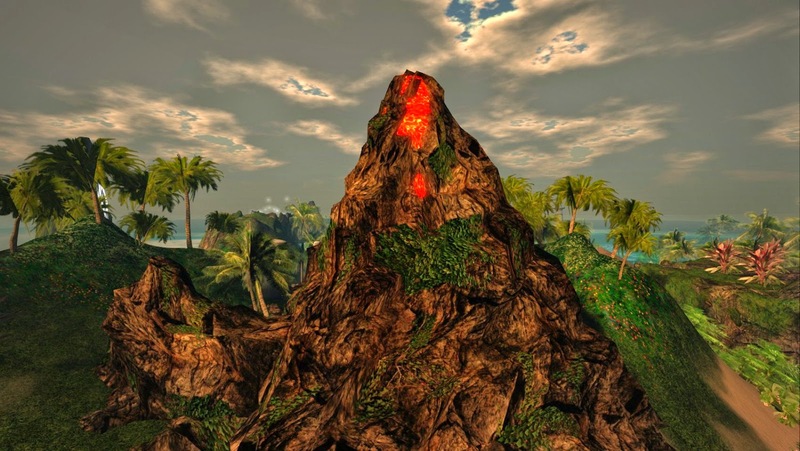 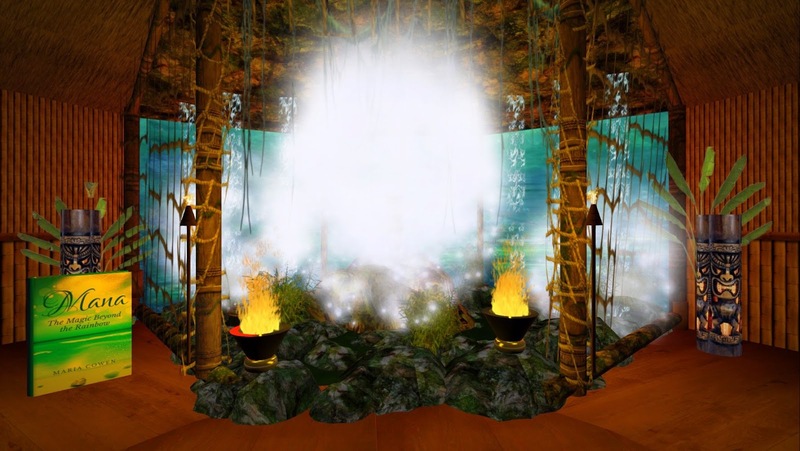 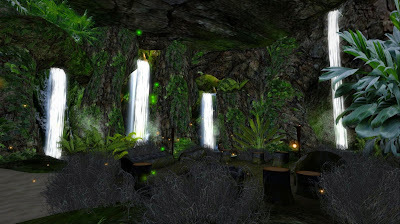 Xinoxi Han, who sponsors some of the best designed and culturally significant destinations in Second Life, has also started a beautiful destination to to celebrate Polynesia. The Polynesian Cultural Center is a living museum representing the Pacific Island of Hawaii, Samoa, Maori New Zealand (Aoteroa), Fiji, and Tonga. Waterfalls, volcanoes, coral reefs, native sculptures and beautiful plantings come together here with a panache that really stands apart from other Second Life builds in this genre. 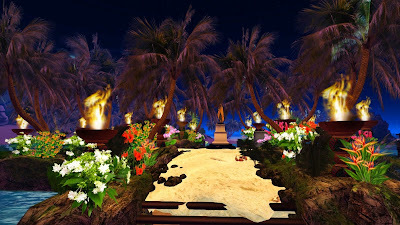 This is a very romantic destination, with dances and couple animations available at the island bar - the bartender can be seen serving Mai Tais below. 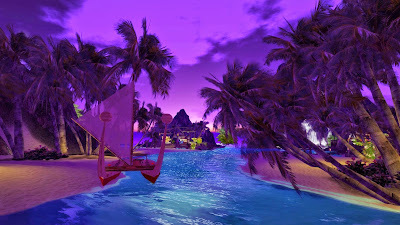 This destination is highly recommended, and particularly recommended for lovers and photographers. 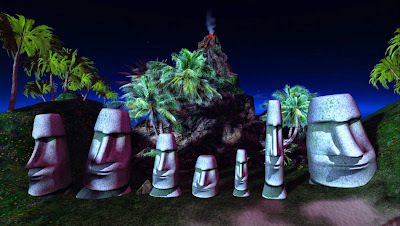 The animations below were made from 18 individual frames each over at ezgif.com which has become my web service of choice for building GIFs due to the large number of options they make available.